The perfect size with great power and unlimited climb. 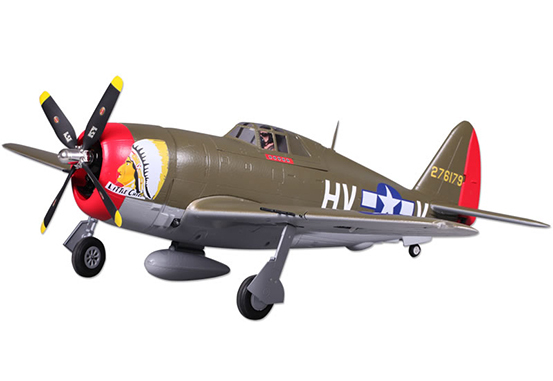 Using the latest in FMS technology the P-47 has the new KV800 motor which supports three bearing shaft suspension, FMS 70 Amp ESC with 5 amp SBEC, and the ability to use either 3 or 4 S batteries. You can also choose the standard speed which with 35A ESC and 3536 motor. The perfect size with great power and unlimited climb. 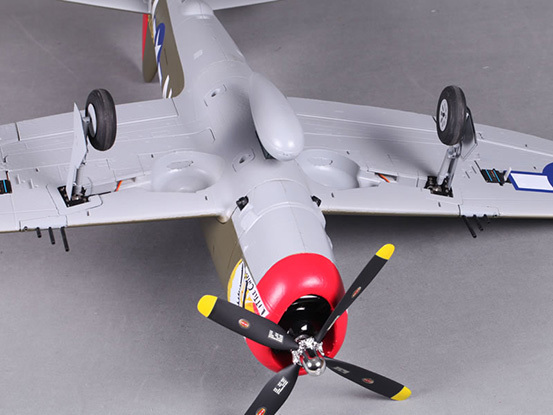 Using the latest in FMS technology the P-47D Razorback has the new KV800 motor which supports three bearing shaft suspension, FMS 70 Amp ESC with 5 amp SBEC, and the ability to use either 3 or 4 S batteries. You can also choose the standard speed which with 35A ESC and 3536 motor. 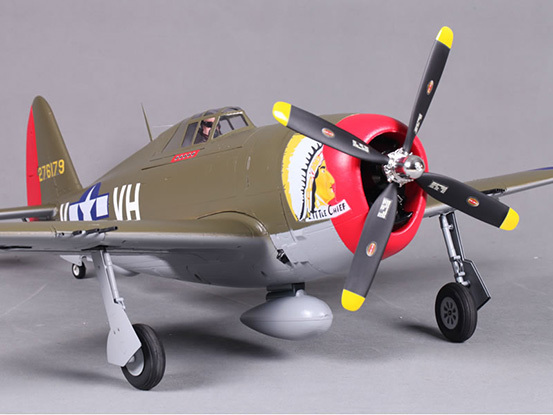 The FMS P-47D High Speed Razorback gets its name from the ability to use two different props, the standard 4 bladed scale for speeds up to 85 Miles Per Hour (MPH) to the optional 2 bladed, which can give you speeds of over 100 MPH. The High Speed Razorback, manufactured using lightweight but highly durable EPO foam, comes equipped with 4 metal gear digital servos. Ball link connectors are used replacing the traditional clevis for a more positive link to control surfaces, and two carbon fiber spars in the wing for added strength when making those “High Speed” passes over your flying site. 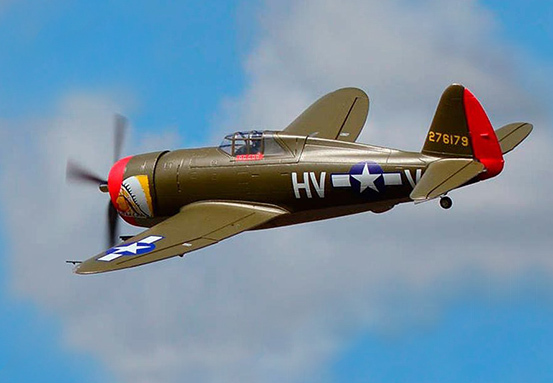 The High Speed Razorback is a great flying tribute to the P-47 family, from takeoff to gentle landing, you will enjoy the flying characteristics.